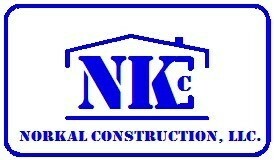 NorKal Construction Company give you the freedom of choice in selecting siding materials, profiles, and colors. We offer the best source for the finest vinyl siding. It is impervious to rain, cold weather, salt, and snow. This siding won’t rot, dent, peel or scratch. Residing a home is among the top ten remodeling projects in terms of overall home value. Installing siding on your home, you can often recoup 100% or more of your investment. New siding lowers annual upkeep and maintenance, utility cost, increases your home’s efficiency, and provides, curb appeal and value to your home.